Gym is a subject many people struggle with during homeschooling. 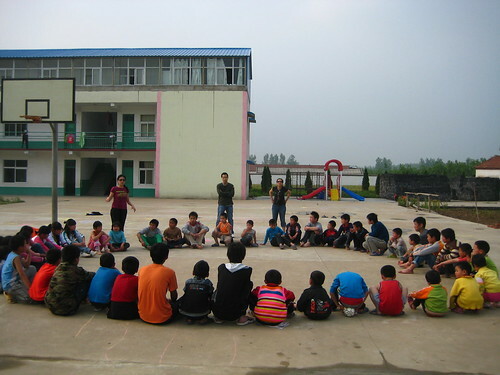 It is often assumed that gym cannot be done without having many students, so some people choose to just let their children play outside for gym. Playing outside is great exercise, but children should learn other active movements as well. Here is a list of good physical activities for homeschool. Families who are homeschooling will benefit from these, but they are also great ideas for playing outside with the kids in general, especially on the weekends. Pick a flexible day of the week where people in the neighborhood can get together all the time and play the sport of the month together. Find a large park in your area to do this. Hand out and post fliers at local schools, churches, and libraries (wherever permitted). Start going to the location at that time every week. Keep handing out the fliers if not too many people show up the first week. Before you know it, there will be a large amount of kids participating. The people in this group will also become friends, so you have just found a group of people you can organize other fun events with for social activities. Do you have a pole in your backyard that was originally used for something else? If it's wooden, stick a strong hook in it, attach a chain to the hook, then attach a tetherball (check sports stores or chain discount retailers). If you can't find a tetherball, volleyballs also work great for it. Just make sure you are able to attach a hook to whatever ball you use without deflating it. If your pole is metal and does not have a hook at the top, you will either have to drill a hole for a hook or weld a hook onto it. To make the game from scratch, just insert your own pole into the ground and then follow the same instructions. Bike riding - Find a bike trail or large park in your area where everyone in the family can participate. Look for anything with paths that kids can ride on easily. Paved paths are easiest, but not necessary. Sporting practice - Practicing the rules and techniques of sports can be done without a large group of people. Most sports games can also be changed a bit, in order to play with only a small amount of people. For instance, with basketball, you can simply shoot hoops. 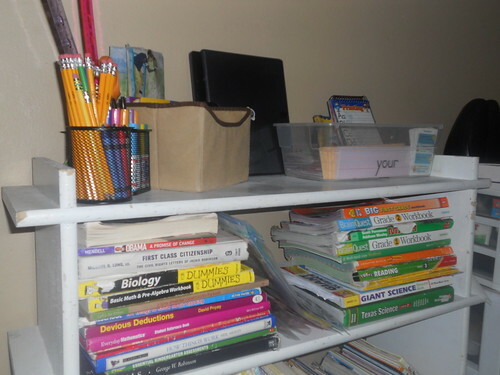 Homeschool group activities - Join a homeschool group and participate in the active get-togethers. This could range from playing at the park, to organized competitive sports, co-op physical ed classes, and more. Sports Leagues - Put your kids on a sports league or team of their choice. This could include soccer, football, softball, dance, gymnastics, basketball, and more. Join a kid-friendly gym - Sign your kids up for classes like kids yoga, swimming, or kids kickboxing. Research the gyms in your area for specific types of classes that your kids will enjoy. Swim for fun - If you have access to a pool, take the kids swimming every other day. This could be an indoor or outdoor pool. For outdoor pools, make sure the weather is appropriate and everyone wears sunscreen and protective clothing. Good old-fashioned games - Red Rover, Tag, Simon Says, Mother May I, and other such games can be fun and physically challenging. The kids may not even realize they are getting a workout. Four-Square - All you need for this is a piece of chalk, rules for playing four-square, and a rubber ball. Draw a square with a plus sign in the middle to split it into four squares. Unused driveways or garages are good for this. If you have neither, but have a yard, cement a section off for this. The cemented section can also be used for basketball and tetherball. Exercise DVDs - Have a daily workout session via your home DVD player. Weekly field day events - Invite all the neighborhood kids and do the same thing as the neighborhood sports day, but instead, do field day. You can choose one or both. The actual activity is less important than the fact that you are doing something active as a family every single day. Make sure that whatever you choose, your children are active every day, based on the doctor's orders. Also, don't forget the health & nutrition part of physical education. Always check with your child's pediatrician before stopping or starting any physical regimen. This content was originally published on Yahoo! Contributor Network by Lyn Lomasi.